I don’t know about you, but our family loves to drive around looking at Christmas lights. I’ve put together a little scavenger hunt to make it even more fun. Enjoy! 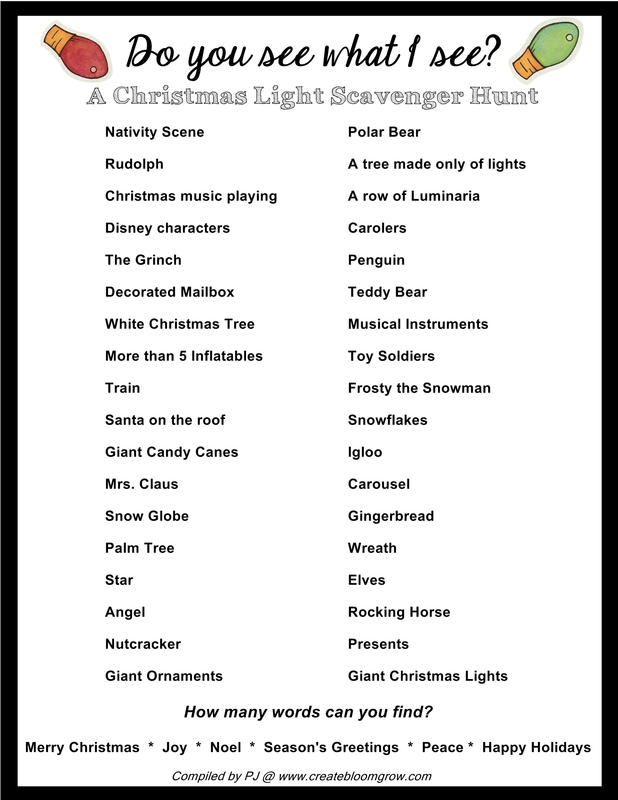 Categories: Holiday Fun | Tags: 'Tis the Season, Christmas Fun, Christmas Lights, Family Time, Scavenger Hunt | Permalink.